This entry was posted in Air Conditioning and tagged Air Filters, thermostat on July 21, 2014 by coolbreeze. Do you know how your air conditioner works and how to keep it running efficiently? Even if you aren’t technically-inclined, knowing a few facts about how your air conditioner works—and how to get the most from it—can save you money and improve your comfort at home. If you have questions or are experiencing problems with your air conditioner, contact a Tucson air conditioning service for professional assistance. Changing your air filter regularly will keep your home cleaner and prevent your air conditioning from becoming overtaxed. However, not all air filters are the same. Filters with a MERV rating of 4 must be changed every month, while a filter with a MERV rating of 8 can be left in place for up to three months. If you or your family members have allergies or asthma, a filter with a higher MERV rating can help to improve indoor air quality and comfort. Running your air conditioner while no one is home isn’t an efficient use of power. Installing a programmable thermostat can allow you to create programs based on your schedule to turn your air conditioning up or down based on when you are home. A programmable thermostat can help you save money and reduce your home’s overall energy consumption without the need for you to adjust the temperature manually multiple times each day. 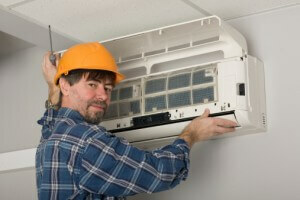 Your air conditioner should be serviced by a professional once a year. A yearly tune-up will improve the efficiency of your air conditioner, reducing the costs of cooling your home. Your air conditioning service will also replace any worn or failing parts before they can become a problem and affect your indoor comfort and cause more expensive emergency repairs. Cool Breeze Comfort Solutions, LLC can help you maintain your air conditioning with monthly filter change reminders, yearly service, and 24-hour emergency repairs. 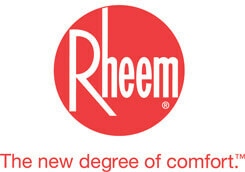 Contact us today by calling 1-844-550-5300 to speak with a heating and cooling expert about your needs. Check out our website to find our current specials and promotions. This entry was posted in Air Conditioning, Heating, Home Savings, Indoor Air Quality and tagged Air Filters, Duct Cleaning, Indoor Air Quality on January 28, 2013 by coolbreeze. The condition of ductwork in Tucson homes can have a major effect on your heating and air conditioning system in addition to the actual air quality of your home. This is especially true if you have people living in the home that suffer form chronic allergies and pollutants such as pollen, dust, pet dander and hair. In fact, poorly maintained ducts can actually make these things worse for allergy sufferers. Irritants get trapped in your ducting and build up over time that can just circulate higher concentrations throughout the entire home. We recommend frequent inspections because every home needs regular ductwork maintenance – there is no method of keeping them clean indefinitely. If you have not had your air conditioning ductwork, give Cool Breeze Comfort Solutions a call today and we will take a professional look at the system in your home. We can make recommendations and find out what works best for your individual situation. In addition to just making your Tucson more comfortable, cleaning your ducts can also improve the efficiency of your air conditioning system because it ensures proper air flow. A professional duct cleaning is a comprehensive approach to the whole home with the intent of cleaning every square inch of the ducting within your system and then treating it afterward to improve longevity. We can also look for damaged ductwork, which can lead to a loss of airflow as well. 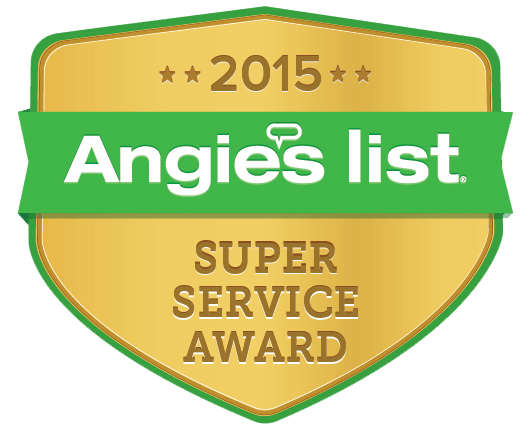 Tucson air conditioning, air quality and clean duct management are some of our specialties! And remember, the best thing you can do on an ongoing basis as a home owner is replace your filters often! If you are concerned about the quality of any of these areas in your home, give us a call right away and we can schedule an appointment today! This entry was posted in Air Conditioning and tagged Air Filters, Cortaro, Country Side, Indoor Air Quality, Pima County, Safford on September 14, 2011 by coolbreeze. The core component of any good air quality system for your Country Side home is the filter. A good air filter removes almost all of the particles that inundate your home every day – from the pet dander that flakes off of your cats or dogs to the pollen released by plants both indoors and out. The first thing to consider is the size of your home and what types of contaminants you must deal with each day. Air testing helps with this, as does regular cleaning of the areas around your air filter, including your ductwork. If you don’t have any pets and don’t keep any plants inside, your biggest air quality issue is likely dust, and dust will only fill up the filters quickly if you have a large family.